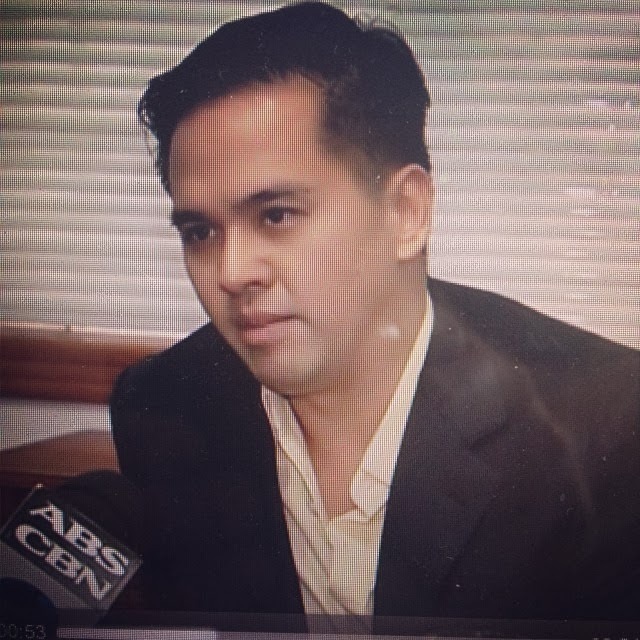 Manila, Philippines- Cedric Lee, the controversial Chinese-Filipino businessman for the first time released his full statement on Vhong Navarro's mauling case to be aired on ABS-CBN news program TV Patrol on Monday, January 27, 2014. In a report of ABS-CBN correspondent Jay Ruiz, Cedric Lee claims he just saved Deniece Cornejo from Vhong Navarro, who wanted to force himself on their friend. Cedric Lee said he and his sister and another male friend went to Deniece’s condo at the Fort, at around 10:00 in the evening of January 22, 2014 to pick her up when they heard her screaming from outside her door. They went inside her condo and fortunately the door is unlocked and into her room where they saw Vhong on top of a struggling Deniece. Cedric further said that they wanted to take Vhong to the police station but Vhong was fighting back, even taking a punch at them until they had no choice but to punch back, “hanggang sa naupakan at nagkabasag-basag na ang mukha niya.” Lee also said that afterwards they had to restrain him with duct tape around his wrists and feet. He also said it was Vhong who requested for them not to make things public because of what it might do to his career and he also doesn’t know how he is going to explain the incident to his kids. Lee became a trending topic on Twitter and Facebook since Sunday afternoon when Vhong Navarro broke his silence and accused Cornejo and Lee behind the assault. 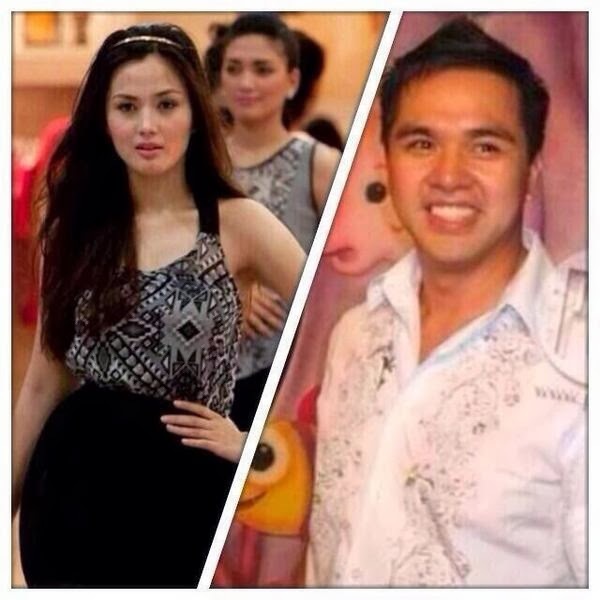 Meanwhile, in an exclusive interview with PEP, it said that Deniece Cornejo is not Cedric Lee's girlfriend. This is contrary to the buzz on social media on Sunday night. Netizens also got attention of Karen Davila's tweet: "Cedric Lee and his thugs should not get away with this. I heard it's not the first time he's done this?". The controversial post of ABS-CBN news anchor earns more than 2,000 retweets as of posting. 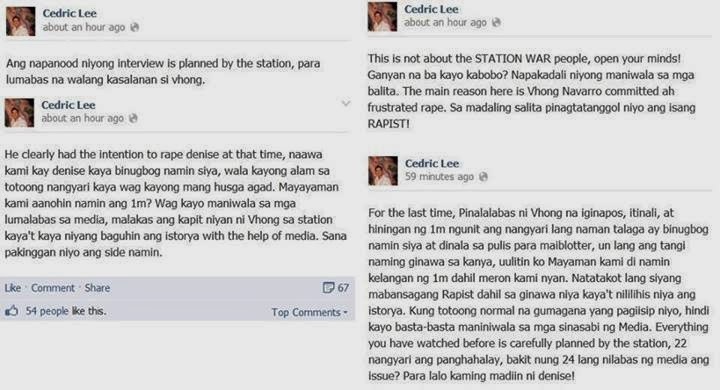 This triggers for the old story of assault to surface on social media involving Cedric Lee. In a report of PEP, it narrates that the businessman allegedly beat up triathlete David Bunevacz while they were partners in a cosmetic clinic business. Jessica Rodriguez, Bunevacz's wife in a report says that her husband is "badly beaten" after meeting with Lee. Some say that the photos with alleged statement of Cedric Lee on Facebook is fake and the account was made few hours ago from posting.